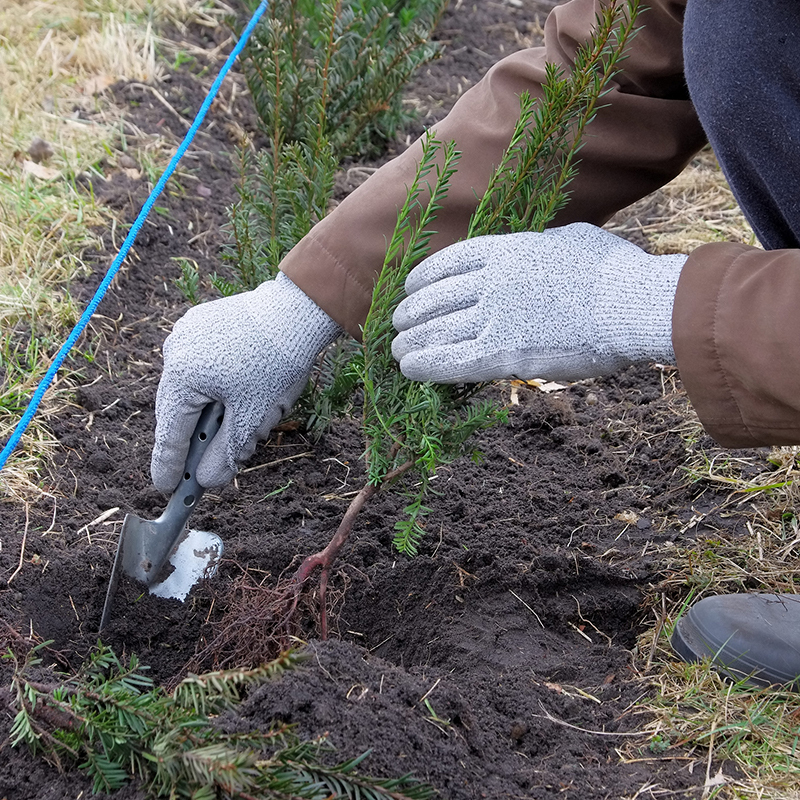 Bare root hedging is one of the most cost effective methods in hedging planting. They cost less to grow and once they are planted they are left in the fields for years (until ready for purchase) instead of being re-potted year on year. As this root type is only available when the plants are completely dormant, from November to late April/early May, they can only be delivered and planted during this period (exact dates of the season depend on the weather each year). Please watch our video on how to plant a bare root hedge, we have used Yew hedging to demonstrate. It is important to note that there is a failure rate attached to bare root hedging plants – 10% for most species. However, we find that when planted with Rootgrow all plants establish better, with a low failure rate. Rootgrow contains Mycorrhizal fungi which is a living organism, essential to all plant root development, which enables plants to extract nutrients and absorb moisture more efficiently – it’s like Yakult for plants! Rootgrow will improve your hedges disease and drought resistance, soil condition, fruit and flower production and the shock caused by transplanting, planting with Rootgrow will result in triple the growth rate compared to none treated plants. Hedging planted with Rootgrow will experience better, earlier growth with fewer losses. Only one treatment of Rootgrow is needed to support the plant for its entire lifetime. For more information on the how to use Rootgrow, please watch the video on how to use Rootgrow Gel, which is what we used in our demonstration video. your website in my socіal networks!